3. Try to stop by at least 3 blogs and follow ones you love. Sharing is caring :) The more awesome blogs = the more awesome bloggy friends you make. I've decided to make this hop every other Friday for the time being-- e-mail me at nmariephoto@gmail.com if you'd like to co-host! 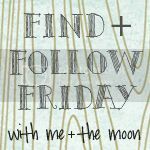 Following via Blog Lovin' now! I''m a new follower! And I can't wait to read more from you... Your blog is super cute! New follower here! I really love this hop! :) Looking froward to reading more :) Happy Friday to ya! New follower--off to check out some other posts! Have a wonderful weekend! I am now following, thanks for hosting!